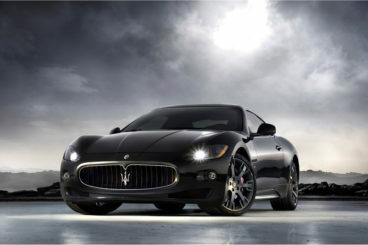 If you’re quite partial to a 4.2-litre V8 engine, you’ll probably love the one powering the Maserati GranTurismo here. It can rocket the car to 100mph in just 13.0 seconds, which makes it even faster than a Mercedes CL500 on a good day (though – whisper it – it’s actually slower than the Jaguar XKR). The problem for the Maserati GranTurismo, compared to the Merc and the Jag, is that those two hit hardest almost 1000rpm ahead of it. Indeed, the Maserati GranTurismo is somewhat hindered by a 1975kg kerb weight, which in effect reduces its acceleration. 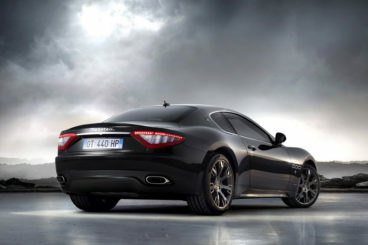 Still, buyers do have the option of a 4.7-litre Maserati GranTurismo S, which has a certain inimical roar like no other. Delivering 453bhp at 7000rpm, buyers have the option of pairing it to either a ZF automatic, or an MC Shift gearbox. The ZF is readymade for a grand tourer, whilst the MC enlivens proceedings once you’ve got your pace up. Standard on all new Maserati GranTurismo’s are fixed-rate dampers, but drivers have the chance to go for the optional Skyhook suspension instead. The ride is overall supple and comfortable, with steering the only real downside. From the front grille to the rear lights, the Maserati GranTurismo just sparkles. There is no ‘eye of the beholder’ cobblers here – it’s universally agreed upon that this car looks the business. Striking with a hint of menace, whilst always retaining a sensual, killer beauty, if this car was a movie star, you’d have to say it’s Robert Mitchum all the way. Pictures don’t do its size justice; once you get to see this car in person, you’ll realise just how big and intimidating it looks. It’s a four-seater coupe that easily rivals the Mercedes Benz CL in terms of size, with a length of 4881mm and a width of 2056mm. Under the skin, the Maserati GranTurismo is pretty much the same as the brand’s Quattroporte, which is why space inside is pretty generous. Okay, headroom is not great, thanks to a fairly unorthodoxly shaped roof, but legroom is very good. Boot-sized isn’t what you’d call generous, but what else would you expect from a four-seater coupe besides room for two golf bags? 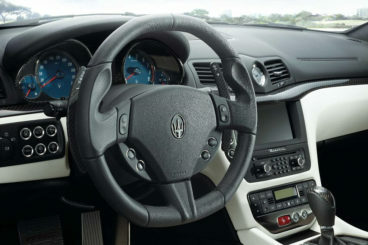 The steering wheel is borrowed from the Quattroporte, whilst the radio is the same one you’ll find in a Peugeot or a Citroen. Not great, granted. But the cabin overall looks good, with stitched leather a highlight. The Maserati GranTurismo price range starts from around £81,000 and rises to about £108,990, whilst you’ll be able to get hold of a used Maserati GranTurismo for a little less. There are four versions to choose from: GranTurismo, GranTurismo S, Maserati GranTurismo Sport, and MC Stradale, whilst other options in the range include the Maserati GranTurismo convertible. If you opt for the base-level V8 2dr automatic, mpg figures average 19.8mpg, whilst you’d be emitting 330g/km of CO2. If you opt for the range-topping V8 MC Stradale, emissions don’t rise too much (337g/km), whilst running costs are also pretty much the same – 19.6mpg. Standard Maserati GranTurismo specs across the range include auto-dimming rear view mirror, integrated navigation system, memory seat, air conditioning, power door mirrors, as well as heated door mirrors. 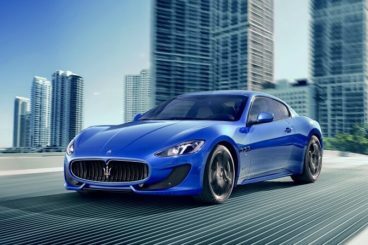 Right now is Maserati’s Renaissance period, and the Maserati GranTurismo is the car that is meant to represent this fact. Thanks to typically killer looks, a much improved interior than we’ve seen in recent years from the brand, as well as some genuine dynamism from its V8 engine, it’s easy to argue that, yes, Maserati is back where they belong. This is an accomplished, fearless car that just begs the question: How good will the next one be? Already, we can’t wait. If you want to get hold of the Maserati GranTurismo don’t hesitate to leave us a message on our contact page, or give us a call on 01903 538835 to find out more about our Maserati lease deals.